It’s easy enough to hit the trails with your dog and go, but you wouldn’t want to walk through them barefoot, would you? So it may not be a bad idea to invest in a pair of the best dog boots for hiking. 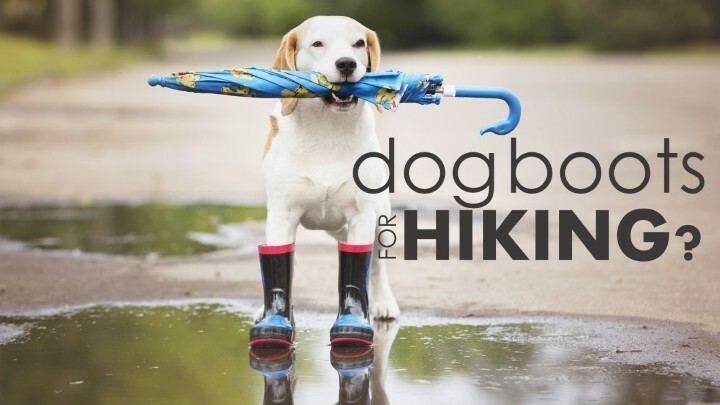 With a good pair of hiking boots for your dog, he gets his feet protected, and he can go for miles alongside you. The boots will help protect your dog’s feet from painful cuts and scratches, which is especially important if he is an indoor dog most of the week. 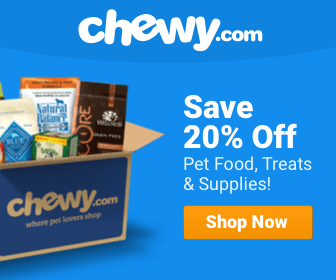 Shopping for hiking boots for your dog will take time, as the right pair of boots depends on how often you’ll go hiking, and the type of terrain you’ll be dealing with on the hike. 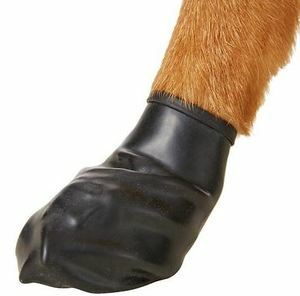 These boots have two velcro closures, to make it easy for you to fit the boot around your dog paw. They’re water-resistant, and have a strong 8mm thick sole. They’re also non-slip and abrasion resistant, but are best suited for indoor and light-duty. If you’re not hiking serious trails, or want to use them to protect your pup in the winter or on a walk in the park, these could be a great option. Make sure the size you buy is slightly wider than the width of your dog’s paw, so they have enough room to close around it. To measure for fit: Put the paw on a piece of paper, and apply a bit of pressure to expand the paw to full size like it would be when the dog is walking. 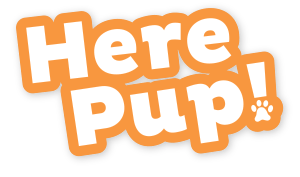 (We know it could take a while, especially if your dog won’t sit still - but be patient. The right fit is worth it!). Measure the width at that point, and opt for a size that’s large enough to fit it, with a bit of room to spare. It’s possible you’ll have to buy two different sets to get the best fit, if there is a significant size difference between paws. When and if we ever decide to take our dog hiking, these would likely be our pick. The thing about these boots by Pawz is that they are made with natural rubber and are totally biodegradable. They are designed like socks in that they slip over the paw and don't need zips and buckles. They give ample protection and traction without making your dog feel constricted. Rather, they feel natural and comfortable. Your furry friend will never feel antsy in them! And they're dirt cheap, so you won't lose any sleep if you lose a boot. They come in packs of 12. These boots are quite fashionable and look pretty much like human hiking shoes. They are designed with a thick non-slip sole, but use a light breathable, tight weave mesh uppers. The boots open at the front and use a velcro closure that seals around the ankles to make it easier for you to put them on, and a zip cord lock for added measure. 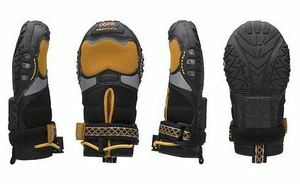 These would be great paw protection for all weather in all seasons, as well as protection during sports and hiking. Oh, and the come with reflectorized strips so it's easier to see your dog in low-light. These boots are designed with a nylon shell, a non-skid suede sole, and a polyester fleece lining, which make it great winter wear. They'll keep those doggie paws warm and dry and protect them from winter hassles such as ice, snow, and salt. Though not a literal pair of dog hiking boots, I put this on the list because it has been a wonderful alternative to actually wearing boots outside, and it helps keep our dog's paws from cracking. Invisible Dog Boots steps in to protect your pet’s paws without the hassle of putting on four boots. 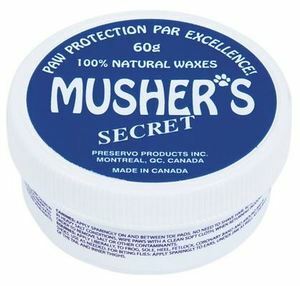 Simply apply the 100% wax-based cream to the pads of the paws to create a protective barrier between his paw and the surface he’s walking on. The wax base means it will protect and absorb quickly, and because it’s all natural, you don’t have to worry too much if your dog licks his paws after application. Not only will it protect from scratches and scrapes, it can also protect from heat and cold. It provides vitamin E to moisturize the paws, making them less susceptible to cracking. If your dog likes to wiggle around when you do anything to his feet, application can be a bit messy, but we’ve gotten it down to a science with our pup. The balm can also protect your pup from salt and de-icers used in the winter time. What So Cool About Hiking & Why Should You Invest in Dog Boots? Hiking with your dog provides an excellent form of exercise, which all breeds, regardless of size need to keep them healthy, strong, and occupied. A dog who’s getting exercise with their owner is a dog who’s happy and staying out of trouble. When it comes to dog boots for hiking, there are a limited number of products available to choose from, and quality just isn’t there like we see with many other accessories for your furry friend. But, that doesn’t mean there aren’t good products out there. Using dog boots provides protection for your dog’s paws, but it’s important to select a high quality boot that will actually give you protection. Using a set of hiking boots when you take your pup with you on a hike is just one of the ways you can ensure his paws stay healthy. To keep his paws in good shape, avoid having him walk on surfaces that are too hot or too cold. As humans, we forget that dogs are much more sensitive to temperature extremes than we are, but they can build up a tolerance faster than we can. Look for a boot that will snugly fit the paw. Something too small will risk damaging circulation. Something too large could rub the paw as it moves around with each step. Look for a boot that offers a thick sole - the thicker the sole, the more damage the boot can take during the hike without causing your dog trouble. Most boots come with a velcro closure, to make it easier to put the boots on and to take the boots off. 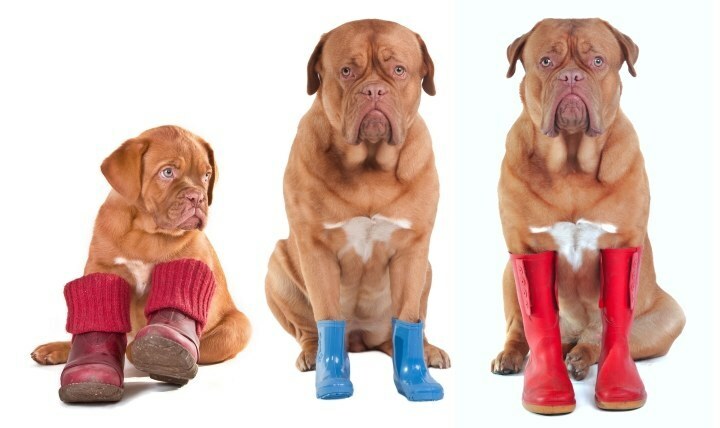 Take your time when putting the boots on, as there may be some resistance until your dog gets used to the routine. Allow him some time to adjust to wearing the boots before setting loose on the trails. If after several uses, you notice he resistant to wearing the boots, or uncomfortable while wearing them, it may be time to try another brand or size of boot. Since there is so much variation between breeds - some breeds have webbing on their paws to make them better in the water - it is not a bad idea to ask your vet for recommendations. No pair of hiking boots is completely impermeable, so after a hike, it’s a good idea to remove the boots and inspect the paws. If there is a cut or scrape, this is a breeding ground for infection, so it’s best to take care of it right away. Disinfect the wound with an antibacterial cleanser, and apply a topical antibiotic ointment. Protect the paw with gauze and tape since excessive licking can make the problem worse and delay healing. Deep lacerations will need veterinary attention, but if your dog experiences this - you’ll likely see damage to the boot, and see signs of pain, such as whimpering and limping - right away. ​​Dog boots aren’t just for hiking. If you live in a cooler climate where snow is always a possibility during the winter months, invest in a pair of dog boots to prep your dog’s paws for winter. Exposure to salt and commercial de-icers we use to make it easier for us to walk on certain surfaces in the winter can be toxic to your dog. Even if your dog doesn’t lick the ground while walking, these chemicals can be absorbed through the bare pads. Orthopedic dog boots are also available to help older dogs keep the right posture and get the right support. For breeds prone to hip dysplasia and other issues, these boots can be of tremendous help. Talk to your vet about whether these could help your dog as he gets older. Once you find a set of boots you know works well for your dog, invest in another set or two. This keeps several in rotation so you don’t wear a single set out too quickly, and have one on hand whenever you need them. If you’re prone to spontaneity, keep a set in the car, so you and your pup can go hiking at the spur of the moment. Don’t forget to clean the boots once they start looking dirty. Each set of boots will come with their own set of care instructions, so be sure to check those. Most of the time, simply washing them on a delicate cycle in the washing machine and letting them air dry is enough. Since a dog’s paw pads are always susceptible to drying and cracking, one of the best things you can do to protect them, other than using hiking boots, of course, is to rub vitamin E oil, or lotion that contains vitamin E directly into the pads. Your dog may be tempted to lick it right off, though, so make sure you’re using a product that will absorb well, and quickly. Your FLUFFY review of dog hiking boots is insubstantial. All are for “light hiking”. Why don’t you do a more in depth review instead. We real hikers are looking for good reviews. Very good things to have on the list!! I really appreciate that you described these items out!